First published in 1975, this set of two volumes edited by three distinguished scholars – an economist, a sociologist and a philosopher - assembles seminal articles, book extracts and documents from some twenty countries to trace the theory and practice of self-governing socialism from the early nineteenth century to the 1970s. 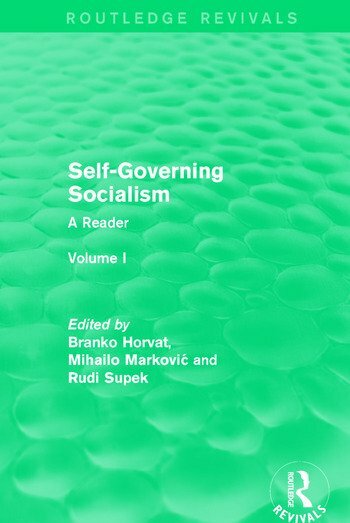 Volume I contains readings and extensive introductory essays on the historical origins and development of self-governing socialism and the philosophical foundations of the idea of self-management. Although first published in the 1970s, this set provides a useful and comprehensive history of self-governing socialism and it will be of interest to those currently studying a range of social sciences and humanities including history, sociology, politics, economics and philosophy.